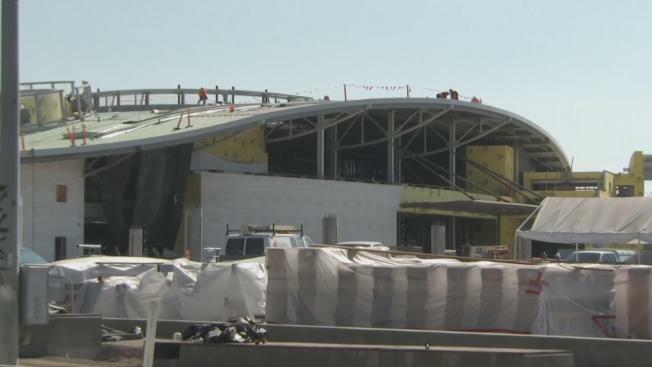 Progress being made on the Milpitas BART station, scheduled to open late next year, and now talk is turning to the future and BART's plans in San Jose. "We'll have BART in North San Jose next year, then BART into downtown San Jose and the city of Santa Clara," said Nuria Fernandez, CEO of the Valley Transportation Authority. As the BART expansion continues, so does the construction of nearby housing, bolstered by a $1.5 million grant from the Federal Transit Administration to the VTA. "It's a major opportunity for us to see economic development, affordable housing, and other quality of life benefits here," said Carolyn Flowers, of the FTA. The ultimate goal is fewer vehicles on the roads, even as Silicon Valley sees more job growth. Rep. Zoe Lofgren cited a recent independent state report that called out the Bay Area for its high housing costs. She said cheaper housing and less traffic would make this a more attractive area for tech companies and their employees. "I don't know if you saw the recent study indicating that if we don't do something about housing affordability, the tech economy will suffer a one or two percentage points decline," she said.